Why Does My Throat Hurt After Running? 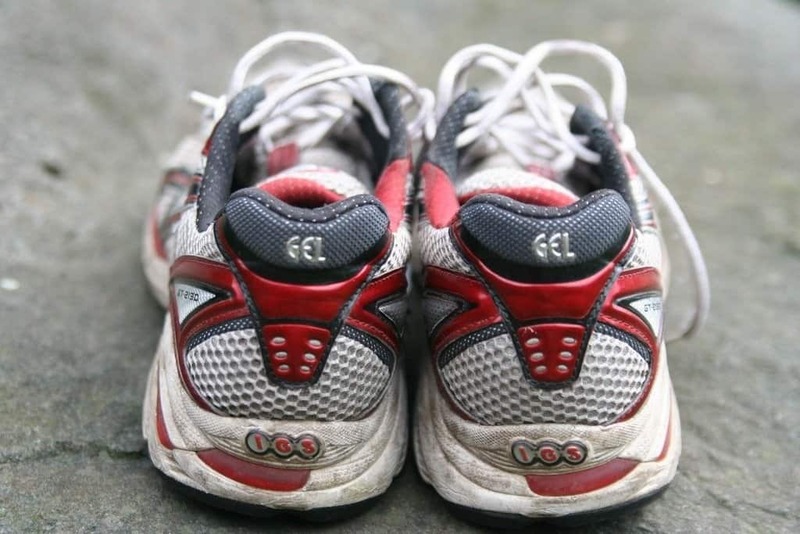 Running is one of the most common and effective form of exercising. When you run, you activate most of your muscles and cardio vascular organs. In fact, it is the best form of cardio vascular exercise as it makes you breathe faster and more deeply. Unfortunately, there are several interesting yet disturbing conditions that you may experience as you make your run. One of the most common ones is having a sore throat while running or after the run. This begs the question-especially in new runners minds-, why does my throat hurt when I run? It is important to note that the overall impact of any running exercise in your body depends on a number of factors including: your current health condition, your breathing methods and the environment in which you are performing the exercise. When you run, there is inhalation and exhalation of air, a process that increases as you increase your speed of running. Air passing through the throat cavity towards the lungs may result in irritation and soreness of the throat. We can also experience this kind of sore throat from any other sort of vigorous activity besides running. Some experts believe that this problem is caused by nasal congestion or in the case of acidic reflux conditions in the body. Therefore, depending on our technique and nature of breathing during running, many of us runners will experience a hurting pain during or after the run. While in some the pain may be acute and intensified, in others it is mild and manageable. Running is of course a great habit that can be accompanied by amazing health benefits, but if it comes with any kind of pain, the whole activity and its benefits are nullified. If you run in a dry climate, regardless of whether the air is cold or hot, you are likely to develop a sore throat during running. If the air is too dry, it will dry out the lining of your throat as you breathe heavily in the course of your running. Environmental allergens such as dust and pollen may also give you a drying and irritating feeling on your throat. 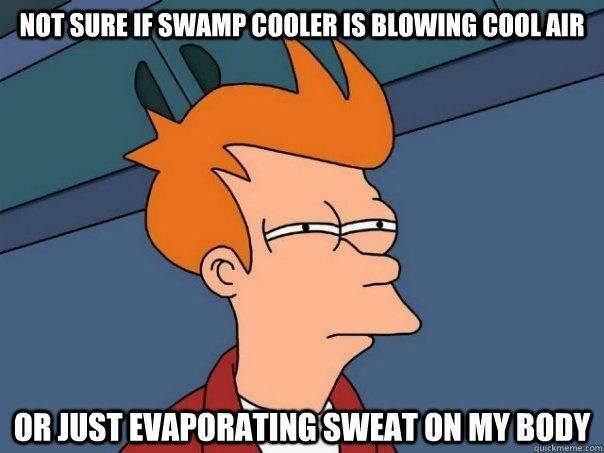 For those who prefer running on an indoor treadmill, using a humidifier to increase the air humidity will help prevent you from experiencing this feeling. It might just be our nature, or just a habit, but most of us use our mouths to breathe when running. This is one of the main factors that contribute towards us suffering from sore and painful throats. As we run, air moves down our throats through our mouths, creating a dry path in the route it follows. This dryness causes some pain in the throat through the irritation it creates in the throat cavity. Ensuring that you use your nose only to breathe when running, will go a long way in preventing throat pains. This is because the air travelling through the nasal cavity is not only warmed up but also filtered, sieving out impurities such as dust particles and pollen. To reduce your chances of experiencing a sore or hurting throat during running, always make sure that you run with your mouth closed. I always find this tactic useful while running- inhale twice with your nose and exhale once with your mouth, in that order. Try it out next time you go for your morning jog…it works magic! Running right after taking a meal or when your food has not been fully digested may cause the acids in the stomach to jump up right back into the mouth cavity due to the vigorous activity. This will result in the irritation of your throat and hoarseness of voice as well. Air temperature is a very common cause of pains and irritations in our throats during running. When air at lower temperature travels through our nasal or throat cavity as we breathe fast and deep, it is sure to cause some nasty side effects. A sore and painful throat is one such result. Pharyngitis, which is a result of inflammation of the throat as well as pains in the back, is also likely to occur to some people. To void this kind of problem, always make sure that you cover your mouth and face while running to prevent the dangerous cold air from entering your breathing cavity. View these balaclavas that keep your face and mouth covered. Although the above mentioned conditions can cause a lot of discomfort and irritation, there is some good news for those of us who love running. It can be prevented. Ensure that you always keep yourself well hydrated before, during and even after your run-especially if you are running in dry weather. If you are easily affected by allergens, then you should avoid running in pollution-prone areas and vicinities. You can also avoid running outdoors where you are likely to encounter these allergens. The cold air may trigger severe conditions such as lung problems which may later result to chest spasms that may cause you to feel like your heart is hurting. When your air ducts react to change in temperature, they contract and create a spasm that may cause tightness in your chest. Go to the gym and run using a treadmill. This prevents you from encountering cold or dry air outdoors. The big plus of using a treadmill is that you are able to use a humidifier to control the air humidity. Always strive to breathe through your nose instead of mouth while running to avoid pain and soreness of throat. You can achieve this by ensuring that you run with your mouth closed. Avoid running right after eating a meal. You should give yourself an interval of at least 3 hours before engaging in any vigorous exercise. 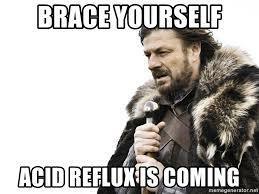 This helps avoid acid reflux in your body. When, running outdoors in cold weather, I would suggest that you always use a mask or scarf to cover your mouth. This helps in preventing the cold weather from entering the breathing channels which is not only dangerous to our throats but also our lungs and chest. If you suspect a sore throat or some sort of irritation make sure that you immediately the medication of easy home remedies to cure it before the problem becomes worse. Drinking warm beverages on a raw and inflamed throat keeps it moist and comfortable. To most of us, black tea is the most obvious choice, but you should also try out green or oolong tea, that is if you’re not fond Earl Grey. Eating or drinking something cold will immediately soothe that irritated throat. Instead of using ice pops or ice cream, you are advised to use whole fruit sorbet instead. You can also make your own fruit pops to help soothe the irritation. One of the fastest ways of relieving sore throat pain is by gargling 8 ounces of warm water mixed with half a teaspoon of salt. You probably have heard of this remedy and dismissed it as an old wives’ tale, but I can tell you that this trick definitely works as can be attested to by a good number of people who have tried it. 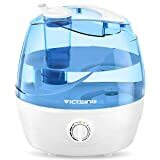 Just like a humidifier helps in preventing a sore throat while working out it can also be used to ease the pain and irritation when you actually get one. Harsh, dry air will only make your dry throat far much worse. Therefore, using a humidifier to add moisture to the air around you will help reduce the severity of sore throat pain. Adding a teaspoon of honey to your tea will help soothe your irritating sore throat. You can also opt to take a spoonful by mouth. Spiking your honey with 2-3 drops of black seed oil (also known as black cumin seed oil will add some therapeutic spice to it. Black seed oil, like most herbal teas will help soothe the pain. The link below is of a YouTube video clearly explaining why running in cold weather gives you a sore throat. The video shows a detailed explanation of how your throat functions under normal conditions comparing it to what happens when you run in cold weather. The video also has some suggestions of avoiding a sore throat, check it out.